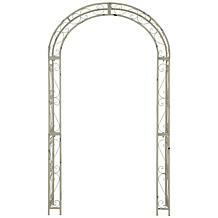 Imagine the entrance to a secret garden framed in a trellised arch scented with the blossoms of climbing roses. 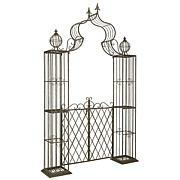 Victorian filigree makes this masterpiece of ironwork as pretty in winter as it is during the peak flowering months of summer. 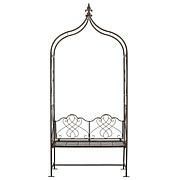 Safavieh Eloise Arbor What could be more romantic than a Bench nestled under a flowering outdoor arbor? 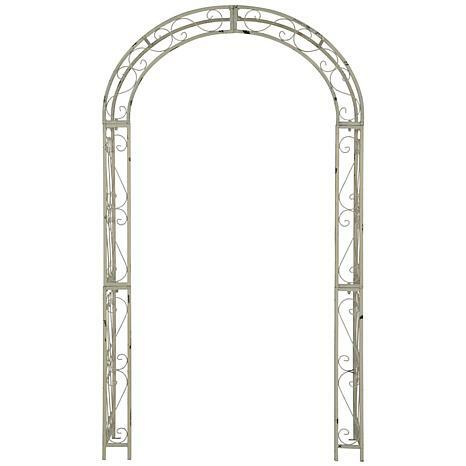 Artfully crafted of rustic brown iron, this piece boasts classic English style, and proves the perfect training ground for evening blooming vines or climbing roses. 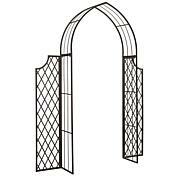 Safavieh Jaida Arbor Announcing the entrance to a glorious garden, this rustic brown iron outdoor arbor evokes images of Scottish castle grounds. Ready for the heady scents of climbing vines or roses, its classic lines add character to a yard even after summer blossoms fade.